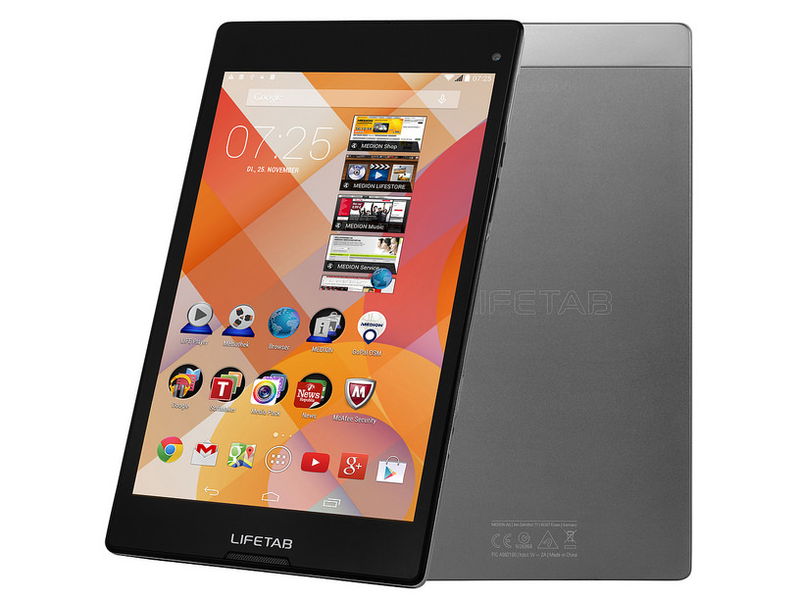 Model: The Medion Lifetab S8311 is a classy 8 inch tablet packed with capable hardware in a sturdy shell. One can only expect high quality offerings from Medion and they certainly back up their claim with a 2 year warranty on this particular tablet. The sleek and thin profile makes the Medion Lifetab S8311 a perfect companion device. At just 360 g, the tablet comes in a beautiful glossy black front bezel and a metallic grey rear cover with the usual laser-etched Lifetab branding. Users will definitely feel the device's solid build quality the moment they pick up the tablet. The Android 4.4 KitKat device comes with an 8 inch Full HD LIFELIGHT display that produces sharp images and vibrant colors. Other display properties include a large viewing angle and an anti-fingerprint coating ensuring a cleaner screen. The Medion Lifetab S8311 comes with a MTK 8392 octa-core processor clocked at 1.7 GHz, 2 GB RAM and a 16 GB internal storage. Users can up the storage using a microSD card. On-board are also two cameras with the 5 megapixel primary camera at the rear and the 2 mega-pixel secondary front shooter. Other capabilities include Bluetooth 4.0, microUSB 2.0 with USB host function, A-GPS and integrated UMTS module for blazing fast mobile internet. The Medion Lifetab S8311 comes with long lasting battery with usage times up to 10 hours.